Who doesn’t love a film with layers of humour? We recently re-watched the 1937 screwball comedy, The Awful Truth, which, in our opinion, has some of the funniest scenes in classic film. We’re serious. You can’t watch this movie while those around you are trying to concentrate/sleep/be grumpy. It’s a movie that could make you snort-laugh, which is never a delicate thing. Irene Dunne and Cary Grant star as a married couple, each of whom suspects the other is unfaithful. They finally Call It Quits when Dunne becomes stranded overnight at a country inn with her handsome music teacher. Despite Dunne’s insistence that Nothing Went On, Grant doesn’t believe her. After they separate, and during the three months before the divorce becomes final, Dunne meets a rich but unsophisticated Oklahoman (Ralph Bellamy), while Grant meets a young woman from a wealthy and stodgy family. It’s not necessary to issue spoiler alerts, because you know how the film ends before it even starts. Dunne dumps the hapless Bellamy when she realizes she still loves Grant. As for Grant, he discovers Dunne was never unfaithful; in other words, he discovers The Awful Truth. It’s a gem of a film, with a witty script and sparkling performances – and that would have been enough. But, happily for us, director Leo McCarey treats us to extra dollops of humour. McCarey is a cheeky director. For example, look at the scene where Dunne’s older-but-still-attractive aunt (Cecil Cunningham) first meets Bellamy. As they wait for an elevator, they share knowing laughs while sizing up each other in a not-so-discreet manner. Here’s McCarey at work: Cunningham and Bellamy step onto the elevator, and McCarey’s camera focuses on the floor indicator. We watch the elevator descend from the 11th floor to the 3rd, where it stops before it starts climbing back up. When the elevator doors re-open, Cunningham and Bellamy emerge, laughing, arm in arm. Or look at the scene where a conciliatory Grant visits Dunne, but ducks into the bedroom when Bellamy and his mother arrive. In the bedroom, Grant discovers Dunne’s music teacher, hiding from him. Meanwhile, Dunne, Bellamy & Co. are trying to have a Nice Conversation in the living room, but they must talk louder and louder to make themselves heard over the raucous fistfight in the bedroom. How can you not love such a film? Leo McCarey (October 3, 1889 – July 5, 1969) began his Hollywood career in 1918 as a director’s assistant; by the mid-1920s he was working at Hal Roach Studios, writing gags and directing. They say it was he who insisted the studio’s top comics, Stan Laurel and Oliver Hardy, become a permanent comedy team. After leaving Paramount, McCarey went to Columbia, where he made The Awful Truth. Film Historian Molly Haskell says Cary Grant wanted out of the film because the production was too unstructured; besides, he didn’t believe anyone would cheat on beautiful Irene Dunne. Sadly, McCarey isn’t well known today; he doesn’t have the name recognition of a Frank Capra or Orson Welles. But he was a Big Deal in his day. McCarey won Best Director for The Awful Truth; the film was nominated for five other Oscars, including Best Picture. Please make the time to see this film. It’s too much fun to miss. 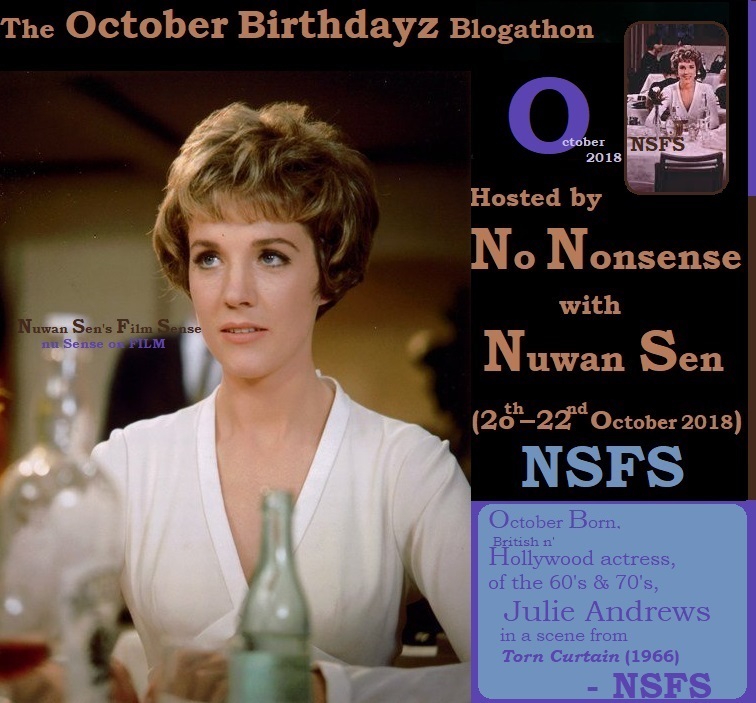 This post is part of the OCTOBER BIRTHDAYZ BLOGATHON hosted by No Nonsense with Nuwan Sen. 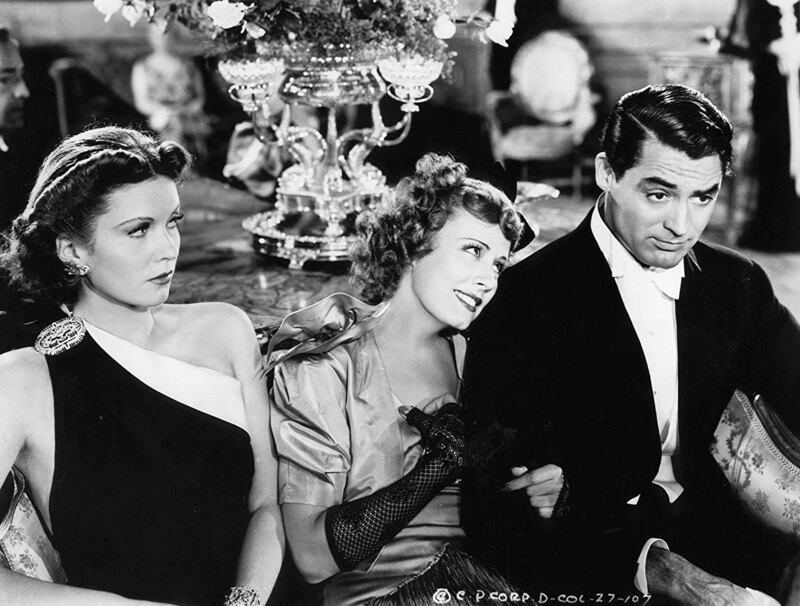 The Awful Truth: starring Irene Dunne, Cary Grant, Ralph Bellamy. Directed by Leo McCarey. Written by Vina Delmar. Columbia Pictures, 1937, B&W, 91 mins. ¹Brittanica.com. (Retrieved October 28, 2018.) Leo McCarey, American Director, by Michael Barson. ²The Criterion Collection. (Retrieved October 28, 2018.) 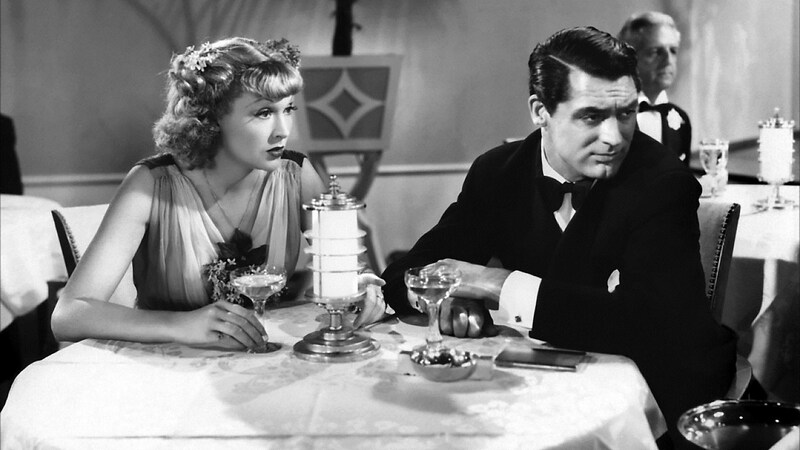 The Awful Truth: Divorce, McCarey Style, by Molly Haskell. ³Senses of Cinema. (Retrieved October 27, 2018.) McCarey, Leo, by Paul Harrill. Yay! I’m glad you saw this one, and especially glad you liked it. The dialogue! It is so sharp and witty. I adore this movie. I LOVE THAT SCENE! That’s the one that almost makes me short-laugh. How on earth did they film that scene without laughing? I wouldn’t have been able to do it. 🙂 It makes me cry with laughter. Great article about a great film. Thanks! I love this film, and was lucky to see it on the big screen a couple of years ago. I never tire of it. I too like this movie a lot. For me it’s the nightclub scene that brings the house down. Haha! That is such a funny scene! I love the reactions of Dunne, Grant and Bellamy at the table during the “Gone with the Wind” number. If I were part of that scene, I would NEVER be able to keep a straight face. Love your post about a film that is impossible NOT to love (I dare anyone!) Cary Grant and Irene Dunne go together like peaches and cream. Just delicious. Haha! That’s a perfect description. Everything about this film is indeed delicious. I really enjoyed this piece, reading it brought back memories of all the great scenes from this film, even those involving the dog (Asta) and the cat at the end. The elevator scene is also a favourite. I must admit that I’ve enjoyed all of the McCarey films I’ve seen so far, but I do like The Awful Truth more than most. It’s nteresting to read that Cary Grant wanted to get out of making this movie, I’ve also heard he even tried to swap roles with Ralph Bellamy – just imagine that! Anyway, great entry to the blogathon. Cary Grant to swap roles with Ralph Bellamy! Good grief! I’m certainly glad THAT didn’t happen. I loved the Mr Smith dog, and the cat, in this film. Leo McCarey wasted nothing in this film; he made the most of every single aspect, didn’t he? While ‘Asta’ became the dog’s stage name after he appeared in ‘The Thin Man,’ Skippy is actually the name the owner/trainer called him. Thanks for the info re: Skippy/Asta. I didn’t know that. He’s one clever dog – and very cute, besides. I need to find a place that rents these movies! I hope you get the chance to see this film! It’s worth the effort. I think it should be required viewing for every comedy filmmaker. There is nothing better than a classic comedy! You said it! And there are not very many comedies better than this one. Lovely post Ruth, and thanks for taking part in the Blogathon. I haven’t seen this movie, but I can imagine what fun it must be. Irene Dunne & Cary Grant had a great chemistry. Recall watching “Penny Serenade” (1941), set in a more serious tone, ages ago, and thinking she must be his second best co-star, along with Rosalind Russell (I love his chemistry with Ingrid Bergman the most). Speaking of no real spoilers, as the ending is predictable; anyway when it comes to a movie it’s about the journey a film takes, how well it is made and how enjoyable it is, and not just about the ending. 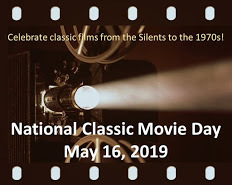 If you have read book and then watch movie adaptation, or see a remake, or if it’s a bio-pic, or based on other real life events, you know how it ends, but that doesn’t matter; it’s how a good a cinematic experience it is, what truly matters. Of course since this is a comedy, it is obvious all the misunderstandings would eventually come to light. But if it was a serious drama, the story could have gone either way. It’s so true and so sad what you said about Leo McCarey, he is virtually unknown today. But with true film buffs like us, these forgotten gems (movies & movie personalities) shall never die. You’re do right, Nuwan. The ending is secondary to the ride, and this one gives you a terrific ride! Grant and Dunne are spot-on with perfect comedic timing. As for McCarey’s direction, it is sublime. I hope you get the chance to see this soon! It’s been in my watchlist for ages, am yet to come across a good copy. I just published my final post for this months Blogathon! My favorite screwball of all time. Don’t know how many times I’ve seen it, but I laugh out loud every time, many times. Brilliant. Great write-up, Ruth. I laugh out loud every time too. The Awful Truth is a masterclass in comedy filmmaking. This is one of my favourite classic films! I recently picked up the Criterion bluray and I love it so much. You’re right, it’s impossible not to snort-laugh whilst watching this screwball comedy gem. Yeah, I bought it during the Spring sale. The artwork on the case is so so good! Nice review. I saw it a bit differently than you did. There is a good chance that both of them cheated on each other. Where had Grant really been when he said he came back from his trip? Not in Florida. We never really find out what the awful truth is at all. Which is fine with me. It’s a great movie. Oh, I believe Grant was cheating, which is why it was so easy for him to believe it of Dunne. I didn’t want to get into it in my post, so I just talked about the circumstances re: that one out-of-town night with the music teacher. I agree they likely cheated on each other. Like you said, it’s a great film and so much fun. Isn’t it fabulous? I can’t believe I don’t own it in Blu-ray – sheesh! This looks great. I need to watch this!!! You do need to see this. It’s comedy at its best. Oh yes, you really do. I gave a feeling you’d really like it. Leo McCarey is one of those directors that made a bunch of good movies, but he never gets the accolades like Capra, Ford, Curtiz, Hawks, etc. He is obviously superb at directing dogs, because Mr. Smith has some of the funniest scenes in this movie! Haha! Mr Smith is the unsung hero of this film. I was taken aback when you wrote that McCarey is virtually forgotten today. Is it possible that we live in a bubble? H’m, I wonder. I don’t think he’s forgotten in the classic film community – heaven forbid – but it i’s possible I’m relying too much on my own anecdotal expertise, eg other film writers I’ve talked to, things I’ve read, etc. I truly hope things are not as bad as that. I like this film a lot and I’m in a desperate need of a rewatch – for instance, I didn’t remember the second scene with Grant and the music teacher in the bedroom! 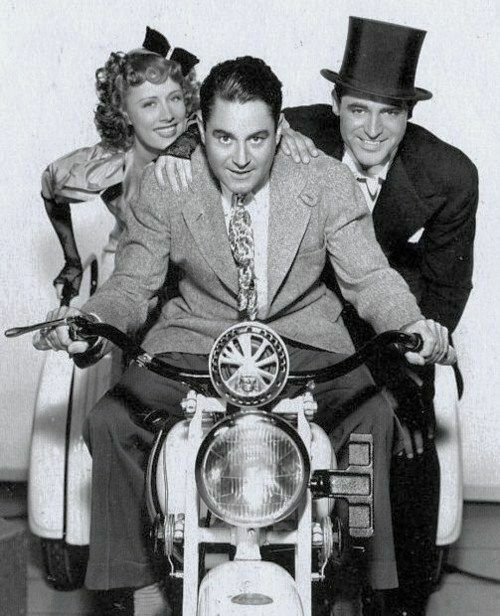 I love that GAG when Grant falls from his chair – definetely something McCarey brought from his Hal Roach days. I live the scene where Grant falls from the chair. He makes it look so easy! As for the scene in the bedroom with the music teacher, I nearly spit out my tea I was laughing so hard. I hope you get a chance to re-watch this soon. With everything going on in the world, a person needs a soul-refreshing movie like this one. I wrote about it for COMEDY GOLD a few months ago. One of the best screwballs, for sure. Such a shame that Leo McCarey isn’t more well-known. I suspect it might be for the same reason as Howard Hawks: they were both incredibly versatile, which means that it’s hard to pin them down; they’re not instantly recognisable, so to speak. But what a legacy! Agreed! Hey, do you have a link to your Comedy Gold article? Is it online? Thanks for the link! I probably knew that, but such is life when you get old. 😉 I’ll be by this weekend.